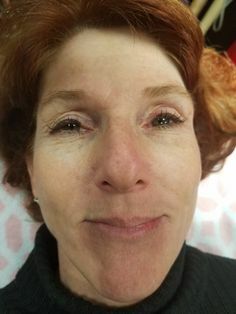 Facial piercings, particularly around the lips and nose, often require more care and attention during the healing process as people must be vigilant about not touching or irritating them. 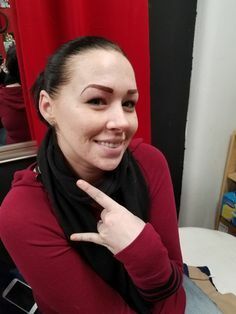 It can also be easier to catch them when changing or if you’re involved in any kind of activity, which would seriously irritate your body modification. When getting a facial piercing, you should always thoroughly rinse at least twice a day with a saline solution on both sides of the piercing (if this is possible). Always avoid twisting your piercing as this will delay healing and many facial piercings are subject to a great deal of swelling during the initial stages (particularly the lips and tongue). To compensate, your piercer is likely to give you a long item of body jewellery, which can be changed once the swelling subsides. You can ask your piercer to change the jewellery for you, which should be included in the price of the piercing but you should always enquire to check. When getting a facial piercing, it’s important to note that almost all of these piercings should be performed with a needle, not a gun. Some facial piercings, such as the ears and septum, can also be stretched to a point to create a completely different look. Always consult with a piercer before you attempt to stretch your piercing and if you wish to get a less common facial piercing, always choose an experienced piercer to get the best results. 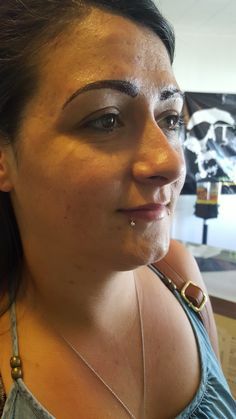 For an instantly noticeable look that is also a great way to show off your attitude, facial piercings are quickly becoming a favourite form of body modification. And with many piercings suitable for wearing with a wide range of body jewelry, there are many ways you can change your look everyday!